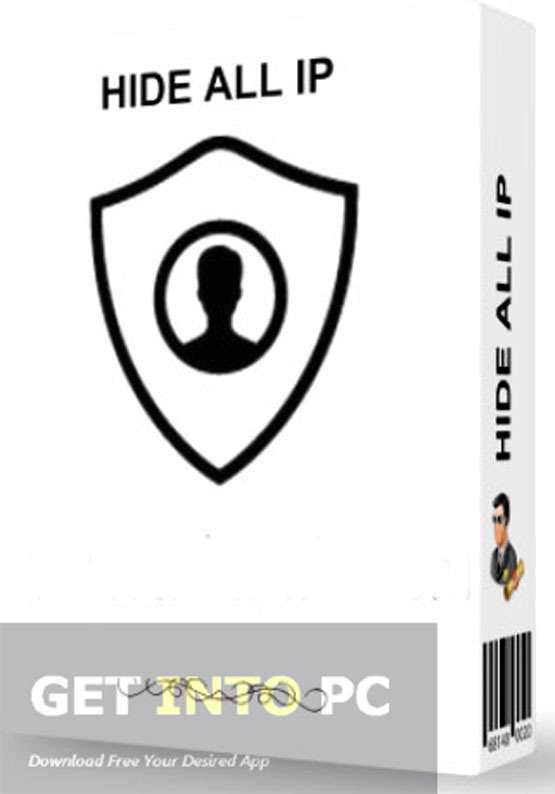 Hide ALL IP 2015 Free Download Latest Version for Windows. It is full offline installer standalone setup of Hide ALL IP 2015 for Windows 32 bit 64 bit PC. Now a days browsing over internet is full of risks as there are hackers waiting for stealing your personal informtion like your credit card numbers and social security numbers etc. 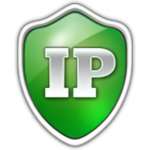 Hide ALL IP is an application that can conceal your real IP address and replace it with a fake ID in order to protect your identity while browsing over the internet. You can also download Hide IP Easy which is another handy tool for hiding your identity. The installation process of Hide ALL IP is very simple and quick and will be completed without any hiccups. 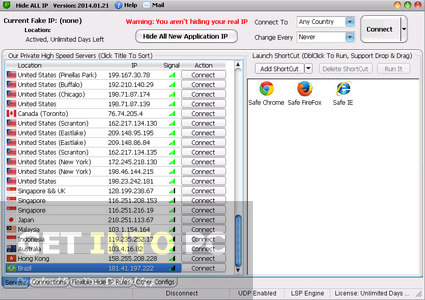 The interface of Hide ALL IP 2015 is modern looking and consists of multiple tabs. Its tab based layout will allow you to access all the option quickly. In Hide ALL IP 2015you can have a view of all the browsers installed into your PC and also can view a list of available servers and their locations, signal and IP address. You can select any of the country for changing your IP address. You can also view logs and also list of protected applications. You can have the detailed information about your connection like speed, connection time and sent/received bytes. 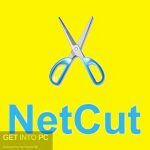 You may also like to download Auto Hide IP. On a conclusive note we can say that Hide ALL IP 2015 is a very handy application which will secure your identity by hiding your IP address. This easy to use tool is very light on the system and won’t affect the performance of your system. 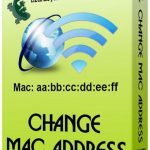 Super Hide IP is another tool that you can download. Below are some noticeable features which you’ll experience after Hide ALL IP 2015 free download. Can browse over the internet with more confidence. Can have detailed information about your connection. 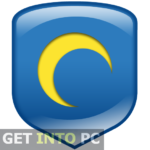 Before you start Hide ALL IP 2015 free download, make sure your PC meets minimum system requirements. 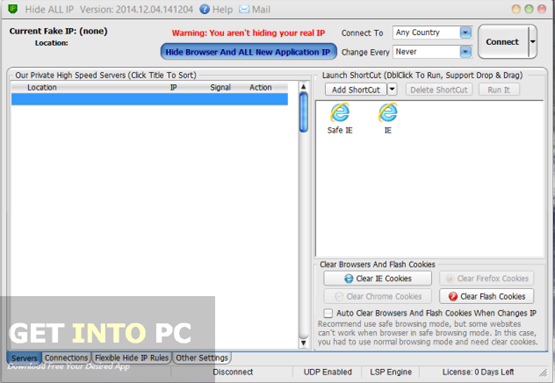 Click on below button to start Hide ALL IP 2015 Free Download. This is complete offline installer and standalone setup for Hide ALL IP 2015. This would be compatible with both 32 bit and 64 bit windows.